It's that time of year again where we get ready to be suited and booted for our annual End of Season Dinner ?? 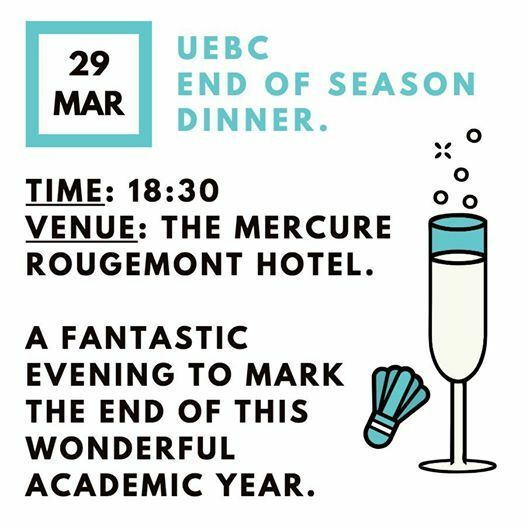 It is sure to be a historic UEBC event so don't miss out. 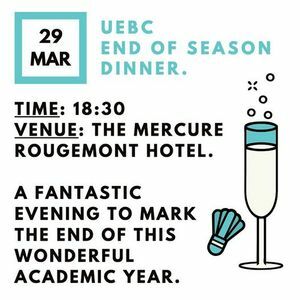 Tickets on sale soon, keep tuned in for more information, including meal and wine choice, award nominations and much more. Tickets are £35 for members and £40 for non-members. Half a bottle of wine ? Plus ones more than welcome! ENSURE YOU HAVE BOUGHT YOUR TICKET AND SENT YOUR CHOICES BY THEN.